Welcome to the latest installment of the Beer Pass. If you’ve already purchased a pass, thank you! If you haven’t, you should check out this page to learn how it works. Below you’ll find some information about each of this month’s selected beers. Grey Sail Brewing of Westerly, Rhode Island makes a wide variety of craft beer and yet they are almost exclusively known around these parts for Captain's Daughter, their 8.5% abv. double IPA. Unfortunately, this one is only canned sporadically so it will probably never be a staple on our shelves, but we did just get ahold of a week old batch just yesterday. Pick this one up and drink this intense tropical hop bomb immediately! We've been getting cans of beer from Cambridge's Lamplighter for several months now, but Leopard King is the first bottled offering they have made available to us. This 100% brettanomyces pale ale has some tartness and light funk (that will perhaps turn into heavy funk should you hold onto this one for a while before opening it). We've been pretty impressed with what Lamplighter is doing, and this venture into the wild and funky realm is no exception. 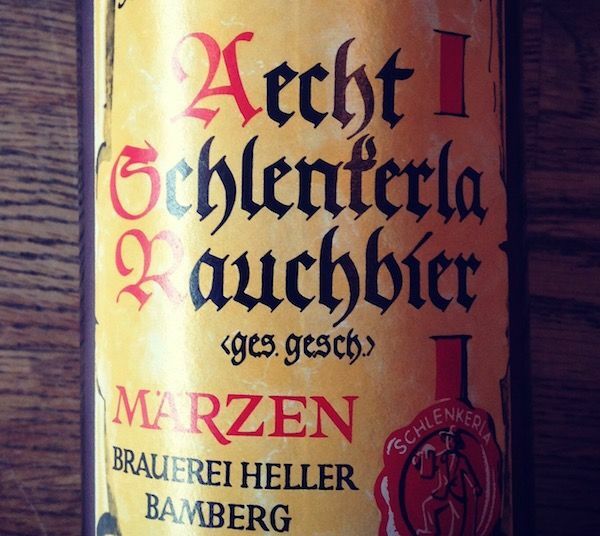 No brewery is more associated with Franconian style of beer known as Rauchbeir than Schlenkerla (aka Brauerei Heller-Trum), a brewery nestled in the heart of Bamberg, Germany. This historic style uses smoked malt, which Schenkerla kilns directly over an open wood fire. The beer is brewed in copper kettles and utilizes a decoction mash. All of this is super labor intensive but the proof is in the pudding as this is an extremely distinctive beer, a far cry from the other German Marzens you might been drinking this time of year. Montreal's Dieu du Ciel! has been brewing up a variety of styles of beer since 1998 and quickly established a reputation as one of the finest brewpubs in the world. Brewer Jean-François had no formal training, which is perhaps more common these days, but was not typical of burgeoning brewers back in the 90s. Accolades quickly came pouring in, especially for his famed Peche Mortel, one of the most sought after and respected coffee imperial stouts. If big, dark, powerful beers are your thing, you could certainly do a whole lot worse than this. Last October we put Modern Times' Blazing World in the beer pass as Modern Times were briefly in the market after being featured in a local beer festival. Here we are again a year later and Modern Times is once again briefly available after being featured in a local beer festival. This time we've decided to feature Fortunate Islands, a hoppy wheat ale with a totally reasonable 5% abv. Hopefully they'll keep coming back to more Boston beer festivals, we love being able to stock Modern Times!